Nexus of Fate was going for 60 tickets online this week, before the announcement that it was about to be much more commonly dropped in Treasure Chests. The rise and fall, within a week like it’s a Shakespearean tragedy. Normally, I don’t care much about MTGO, as I loathe the program, interface, and the system that charges me full price for cards I have to actively hunt for to own in person, but this wasn’t a huge surprise to me that Nexus had taken off. There were many warnings, but this was the funniest to me. And she’s right. 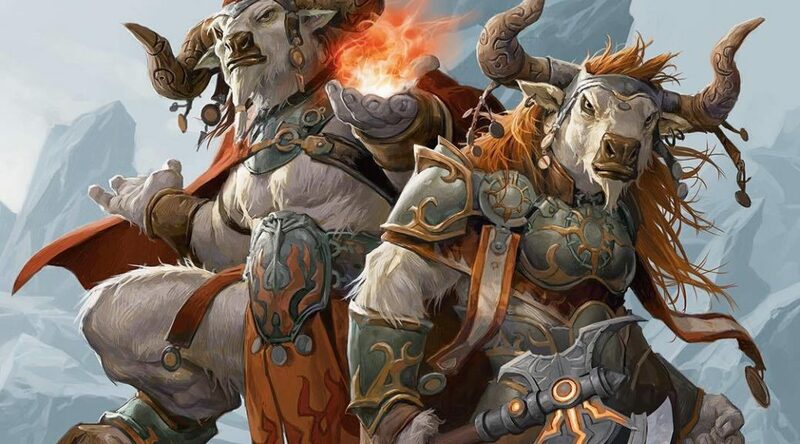 We didn’t worry much about Sunsong and Firespeaker, because that card was unusual, but not terribly good. Nexus, though, if you can draw your whole deck, is a plan. Did it get countered? Shuffle it in anyway! Better have all your Syncopates aimed at this one card. There was no shortage of people worried about Wizards screwing this concept up when they announced this plan, and well, here we are. Sixty tickets online is an indicator of demand, as is $35 in person. Worst of all, this is the price when supply is likely at its peak! If a store gets caught selling these as singles they will have real consequences as a WPN store, and if your store still has Nexus for the boxes that get bought, then if you’re spending $120, you get $30+ back from this one card, guaranteed. Which is good, because the rest of the set is pretty rough. There’s only one rare currently at or above the price of a pack, and Death Baron can’t do it all himself. The mythics are better, especially with Sarkhan, Fireblood jumping up as people play lots of Dragons in Standard, but that’s still 1 in 8 packs, an average of four to six per box. Ouch. The value just isn’t there for a box so far. I want the value to be there, frankly, because it makes for a healthy environment, but here’s the thing about Nexus of Fate: I don’t see an easy way to reprint it anytime soon. My best guess would be as a one-of in next spring’s Challenger Decks, along with a Teferi and a Karn (probably not the same deck though) and that’s quite a ways away. I do think a reprint is inevitable. Probably. This is Wizards, who decided to invite Hearthstone streamers to open the oldest series of packs (up to eight basics in some packs!) yet NOT keep the cards opened, donating the cards to charity. Why not donate the value of the unopened packs? Why do this at 5:30 EST? 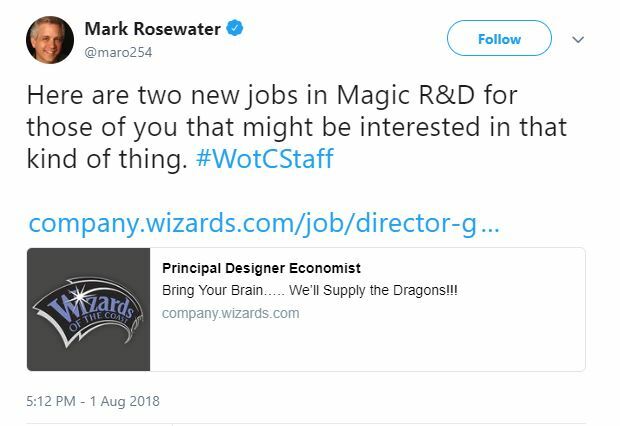 In related news, Wizards has a job opening. There’s so many questions I have. Was this always a position? Did someone finally realize that this needed to be a position? Better yet, did someone have this gig for a while and they just decided to let this person go, after a string of terrible decisions and repetitive ideas? There’s a lot of juice to be squeezed out of this particular apple, and I’m a little bummed that I’ll never know these answers. I want to tell you to buy Nexus at $30. I really do. There’s only 50 on TCGPlayer right now, only 20 of which are NM below $40. The casual market has soaked up a lot of these as well, and I think this might be a case where a jump to $50 on a card people just picked up will only make it harder to get out of their decks. However, I don’t know what they are going to do to make it more common in paper. Print more and have them be added to the FNM rotation? A special holiday gift to all those who played in X number of events? Something’s going to happen, but there’s one potential miracle on the horizon for this card. 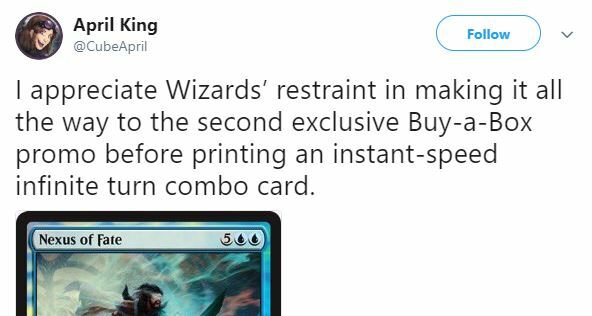 While stores can’t sell their promos directly, what they are allowed to do is use leftover promos to ‘enhance in-store play‘ once the next set arrives. This means that any leftover Nexus of Fate cards are given away at the store’s discretion. Entry prizes, in-store raffles, you name it. We don’t have a clear number on how many stores got how many cards, but the timeframe here will be in mid-to-late October. Will all the leftover copies get dumped? Are there any copies left to be dumped? There’s too many unknowns here, and I’ll summarize. Buy your personal copy for Commander now, but don’t stockpile the card. Wizards knows they messed up, so they jacked the drop rate online. They will see what happens in October and then all bets are off.